The U.S. Senate has confirmed the appointment of a veteran Jackson County prosecutor as the new U.S. attorney for the 66-county western district of Missouri. President Barack Obama nominated Angela Tammy Dickinson for the post in July. The nomination was one of dozens confirmed by the Senate on New Year's Day. The Kansas City Star reports the appointment will become official when Obama signs the necessary paperwork. Dickinson will replace David Ketchmark, who has served as acting U.S. attorney since 2011. 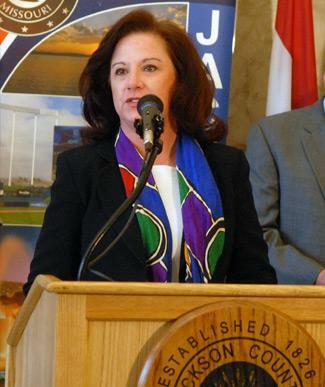 Dickinson joined the Jackson County prosecutor's office in 1998 and has been the chief trial assistant in that office since 2002. She earned her law degree in 1998 from the University of Missouri-Columbia. The Justice Department's Western District of Missouri includes the cities of Columbia, Kansas City, Springfield, St. Joseph and Jefferson City.